The once-popular phrase may be “everything old is new again,” but for Scott Bradlee, it might read everything new is old again. It’s an idea Bradlee had as far back as high school. PMJ had its humble beginnings in the cramped basement of Bradlee’s apartment in Queens, New York, where he shot videos with a small group of college friends. The group’s big break came after doing a jazzy cover of Macklemore & Ryan Lewis’ ‘Thrift Shop’ which became viral, reaching over a million views in its first week and climbing to #8 on Billboard magazine’s Jazz Albums chart. Bradlee and crew then followed it up with Miley Cyrus’ ‘We Can’t Stop’ and true enough there was simply no stopping PMJ as it found its way out of Bradlee’s basement apartment and into bigger, more elaborate venues and mainstream consciousness. 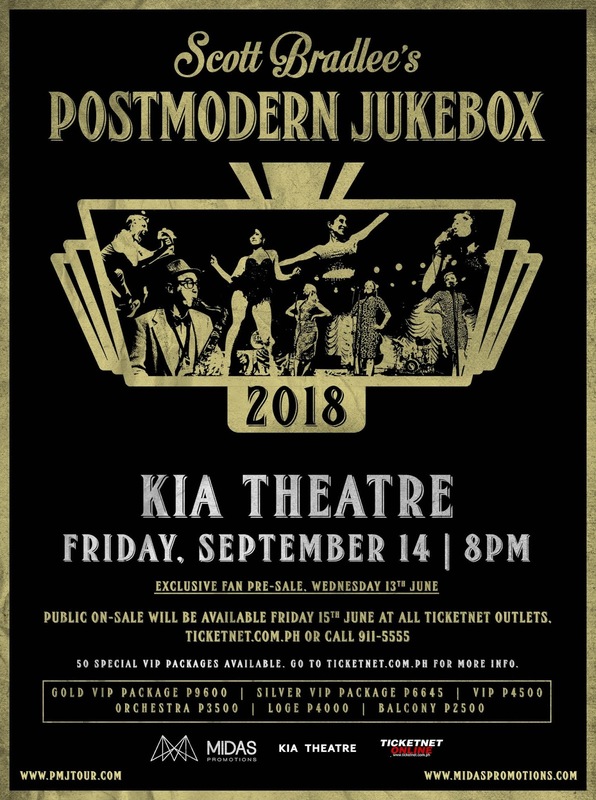 Post Modern Jukebox’s choice of material ranges from the ‘80s hard rock of Guns N’ Roses to the most current hits of today and they are performed by a rotating cast of musicians, including numerous American Idol alumni, wearing the same fashion pieces as their version’s particular era or genre. To date, they have amassed over a billion views on their YouTube channel, and they have covered artists ranging from Lady Gaga to Radiohead, Taylor Swift to Maroon 5 and many others, giving their hits a vintage makeover like jazz, swing and ragtime. And as any Post Modern Jukebox fan can tell you, the experience is never the same twice, with new songs, new sounds, and new members added to the ever-growing family each time around. Tickets go on sale beginning Friday, June 15, 2018 at 10 am onwards.